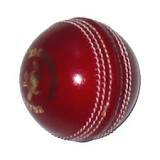 An Australian batsman is struck by a ball at the base of the skull and dies after a cricket test match. Followed by an amazing outpouring of grief, eulogies, hero worship and memorials of all sorts across the country. Way out of proportion. The incident is described as a ‘freak accident’. Why it was freakish is puzzling. It’s actually freakish that more such accidents don’t occur. The huge elephant in the cricket change rooms and corridors of power is the modern version of ‘bodyline’, a term used during the 1932-33 test series against England. English fast bowler Harold Larwood targeted Australian batsmen instead of the wicket, which was considered shockingly ungentlemanly, dangerous and unfair play. Just not cricket! These days it’s normal bowling practice for all teams. In the wake, so to speak, of the recent death, the cricket commentariat were resolutely silent about a glaring, fundamental problem at the heart of the game. Along with administrators and players themselves, an omertà rules: not a word about the danger of hurling a hard ball at speeds up to 160 kph directly at another human being, including his head. The only rule is to make it bounce first and try to ensure he’s in front of the wicket. It’s tantamount to aggravated assault, or worse. The wearing of helmets and other protection, including the ‘box’, for sensitive body parts only underscores the problem. The rules of the sacrosanct game should change, but mentioning it would be apostasy of the highest order. Add so-called sledging, that is verbally insulting your opponents, preferably with racist taunts, and you have an unsavoury cocktail of super aggressive, negative role model behaviour. The big-money professional sports have refined their games for profit and entertainment so that only vague vestiges of sportsmanship remain. An obsolete, old-fashioned idea that can also be interred. Perceptive comments! Such views are unfortunately rarely heard….apostasy indeed!